Utilising the same core technologies as the innovative Chroma-Q® Color Force 12™ multi-purpose LED fixture, the Studio Force V 12™ is a 3,000K - 6,100K CCT, variable white version featuring laboratory calibrated 3200°K and 5600°K presets that is specifically designed for TV, film, touring, exhibitions, corporate events and theatre lighting applications. At only 300mm / 1ft* long, the unit is ideal for floor, wall or truss mounting. It also provides an extreme output of 5,930 lumens for evenly washing large areas, complemented by smooth, theatrical grade dimming. With an extreme output of 5,930 lumens, the Studio Force V 12 offers more than twice the white light output of its RGBA colour variant. 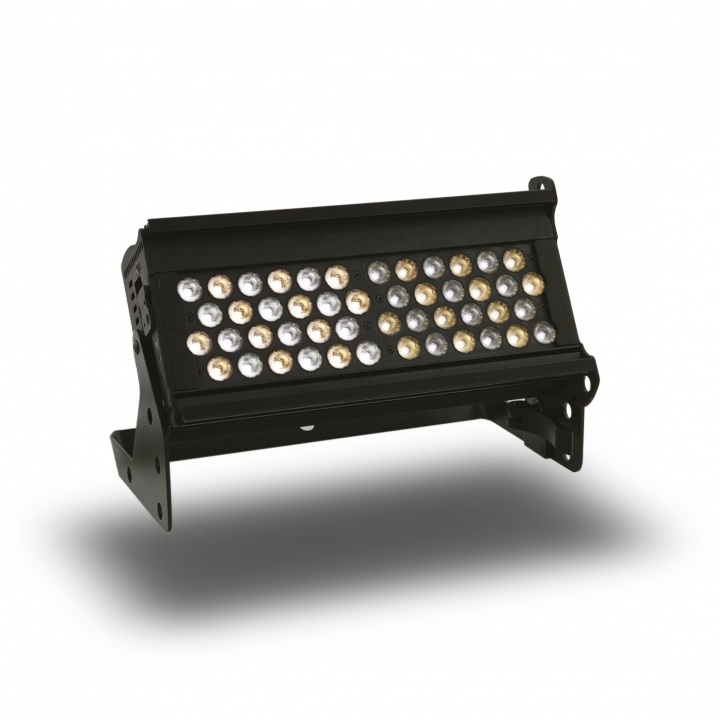 The Studio Force V 12™ can also be used to extend Studio Force V 48™ and 72 LED batten installations. The Studio Force V 12™ is suitable for a wide range of lighting applications, including key-lighting, uplighting, backlighting and wash applications. The Studio Force V range includes ColorSure™ technology for enhanced consistency across each light engine and when using multiple fixtures. The Studio Force V range's camera friendly custom optical design provides a smooth, uniform output, matched by theatrical grade dimming. On the outside, the Studio Force V 12™ has been designed to provide maximum versatility and ease of use. The built-in power supply, hidden quick release fixings requiring no tools, and PowerCon and 5-pin DMX connections in and out provide fast deployment and simple cable management. The Studio Force V range also features stand-alone Master and Slave modes for additional usage possibilities, flat end plates for seamless wall-washing and a rugged extruded aluminium body. All three models are also available as Studio Force D 6,100K CCT daylight white versions.